As long-term lovers of Anguilla, first as vacationers and now as residents, we had long taken an early discovery we made for granted. It is both simple and important... The best way to fly to Anguilla (airport code "AXA") is actually to fly to St. Maarten (code is "SXM"). From Montreal, it took us 14 hours to finally arrive for our first vacation in Anguilla. After our 2nd trip, that journey was getting "tired." We love Anguilla, we thought, "but 14 hours?" If you are long-term visitors to Anguilla, you can skip this article because you probably already know the best way to fly to Anguilla. 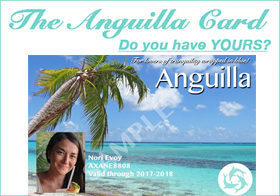 But if you are considering Anguilla for the first time or if you have been taking "the long way" to Anguilla, read on! Also don't miss the more detailed region-by-region page on how to find your fastest, cheapest way to get to Anguilla! Use our Cheapest Flight-to-Anguilla Finder to find your best travel route. Looking to fly to Anguilla from San Juan? 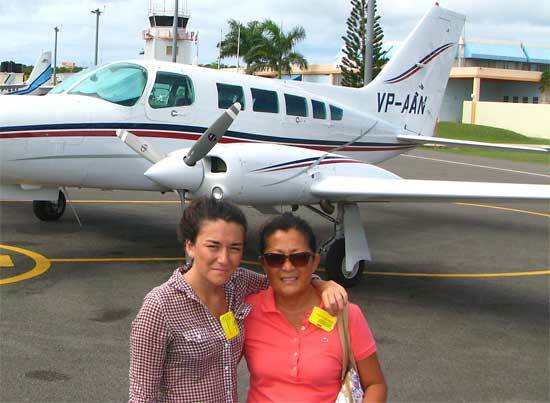 Tradewind Aviation offers comfortable and conveniently-timed flights daily from San Juan to Anguilla Dec. through April. Details here. Then we discovered a non-stop flight to St. Maarten. 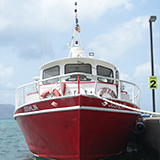 It had never occurred to us to search for "SXM" as our destination until we had become comfortable with the ferries. Suddenly, a 3-flight journey, with connections in an East Coast US city and Puerto Rico (usually with a long wait) became a 4.5 hour non-stop flight to Princess Julianna Airport in St. Maarten. And now, Yuki and I make it in 3.5 hours or less from New York on a wonderful Jet Blue flight. Update 2018: The VIP service is no longer available. 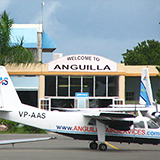 Now, Anguilla Air Services assists you in clearing immigration and collecting your checked luggage. On the return flight (AXA-SXM), you must re-check your bags. 2015 Update: If you are flying to Anguilla from St. Maarten and have checked luggage from your previous flight, you don't even have to go through St. Maarten immigration, collect your bags and re-check them. Anguilla Air Services will take care of that all for you. Just indicate that you need VIP service. All you would have to do upon exiting your plane to St. Maarten is walk to the "transfer desk," which is on your left as you round the hallway towards customs. 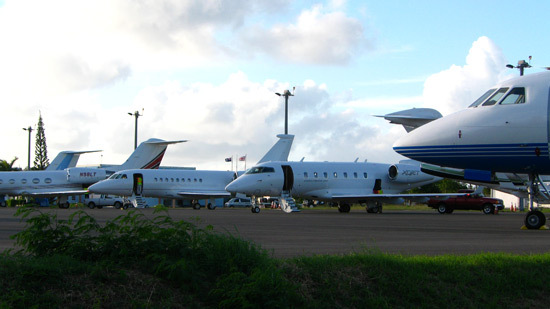 They will take care of you from there, transferring you to your Anguilla flight. No customs, no hassle. What a difference! We still had a good part of the day in Anguilla ahead of us, after arriving! We were reminded of this important point recently when my Dad's company held a conference in Anguilla for its customers. After announcing it in his company's forums, the thread on the conference was swamped with comments about the cost and time it took to fly to Anguilla. That is when my Dad announced... "Don't fly to Anguilla. Fly To St. Maarten" (exceptions below). After researching that option, they posted back about how much faster and cheaper it was to reach Anguilla by flying to St. Maarten. Suddenly, those who had said that they were unable to attend (due to cost and inconvenience) were coming. We are creatures of habit. We reflexively enter our destination when we research flights. So do our travel agents. Instead, enter "SXM" as your ultimate destination or tell your travel agent to do so. Anguilla happens to be a small Caribbean island that is only a few miles north of another island (St. Maarten) with a major international hub. 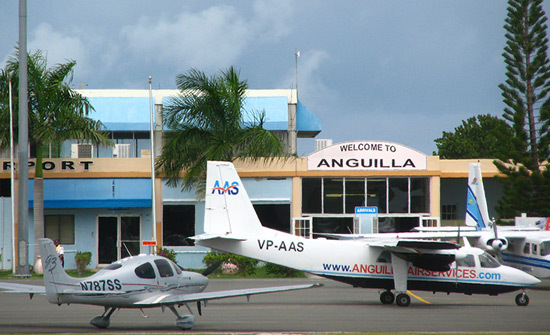 Like other smaller islands, it has its own regional airport, the Clayton J. Lloyd International Airport. The airport's runway length is 5,461 feet (98 feet wide) (with 4,968 feet of landing distance available). That is long enough for props, regional jets, and the large private jets that flock to Anguilla like the G5. If you happen to have a G5, fly direct to Anguilla! From SXM, Anguilla's extreme proximity to this major hub makes it a snap to reach quickly. When we arrive in St. Maarten now, we feel that we're already home, being closer to Anguilla than JFK is to Manhattan. It's basically a taxi ride. Who Is This Tip For? If you are flying from a major city on the Eastern seaboard of the U.S or Canada (ex., New York, Boston, Baltimore, Philadelphia, Atlanta, Miami, Toronto, Montreal), you will likely find this travel tip to be invaluable. Most cities offer the non-stop to St. Maarten option, some year-round, others in season as charter flights (such as Montreal). Flying from the West Coast, this tip may not make much of a difference. But do explore the SXM option. Don't miss these region-by-region details on the best and cheapest way to reach Anguilla. I hope the SXM option works out as well for you as it did for us! Please comment on how well this works for you, or add your own best tip from your location, in the comments section below.